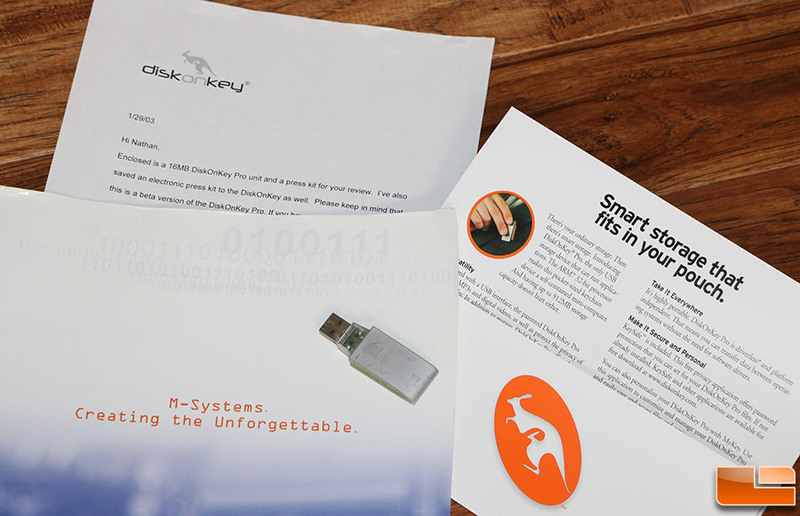 The first USB Flash Drive that I ever reviewed on Legit Reviews was the 16MB DiskOnKey Pro made by a company called M-Systems. M-Systems was later acquired by SanDisk, which was just acquired this year by Western Digital. The 16MB DiskOnKey Pro was available for $19.99, was marketed as being able to hold 11 floppy disks worth of data and was powered by a 32-bit ARM7 CPU. The fact that it has a processor inside was important back then as it was the first portable USB storage drive that was driverless and was able to run additional applications like automatic boot features and automatic logon. Those were the first time those features were seen on a USB Flash Drive and since then millions of USB Flash drives have been produced and it’s not a common device that most people have had the pleasure of using. The 16MB DiskOnKey Pro used the USB 1.1 host interface and was capable of up to 12 MBits/sec or 1.5 MB/s of performance. I still happen to have that drive and it’s still in functioning order with data on it that hasn’t been accessed in over a decade. 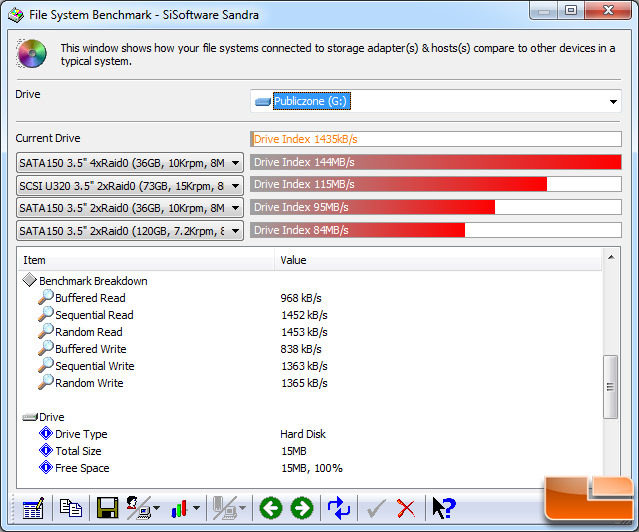 I was able to run a really old version of SiSoftware Sandra 2004 that happened to be on the drive and find that it to find that the drive is capable of 1.45 MB/s sequential read and 1.36 MB/s write speeds. Those speeds were very respectable back in 2002/2003 for a USB 3.1 Flash Drive, but boy have we come a really far since then. 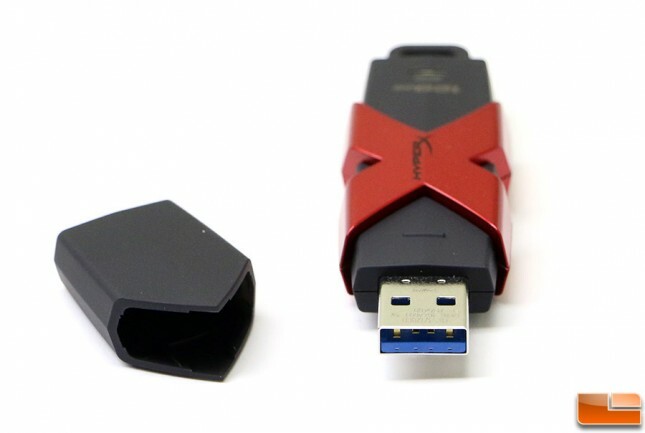 The product that I’m looking at today is the HyperX Savage USB 3.1 Gen 1 device that just came out this month and is available in 64 GB, 128GB and 256 GB capacities. This is the first USB Flash Drive that I’ve received that touts being compliant with the USB 3.1 Gen 1 specifications set by the USB-Implementers Forum (USB-IF) to take full advantage of the latest USB Type-A ports in newer devices. Since it’s also backwards compatible with older USB ports, meaning that it will work on desktops, notebooks, gaming consoles (PS4, PS3, Xbox One, Xbox 360) and so on. It needs to be made clear to everyone that USB 3.0 has been retroactively renamed USB 3.1 Gen 1, so this is basically a SuperSpeed+ USB 3.0 drive that is capable of speeds up to 5Gbps. The new USB 3.1 standard that most think of when they see USB 3.1 on a device is actually called USB 3.1 Gen 2 and those devices are capable of up to 10Gbps transfer speeds. So, if you are shopping for a USB drive you need to know that USB 3.0 and USB 3.1 Gen 1 are the same thing. If you want a true ‘USB 3.1’ 10Gbps device you’ll need to look for one that meets the USB 3.1 Gen 2 specification. 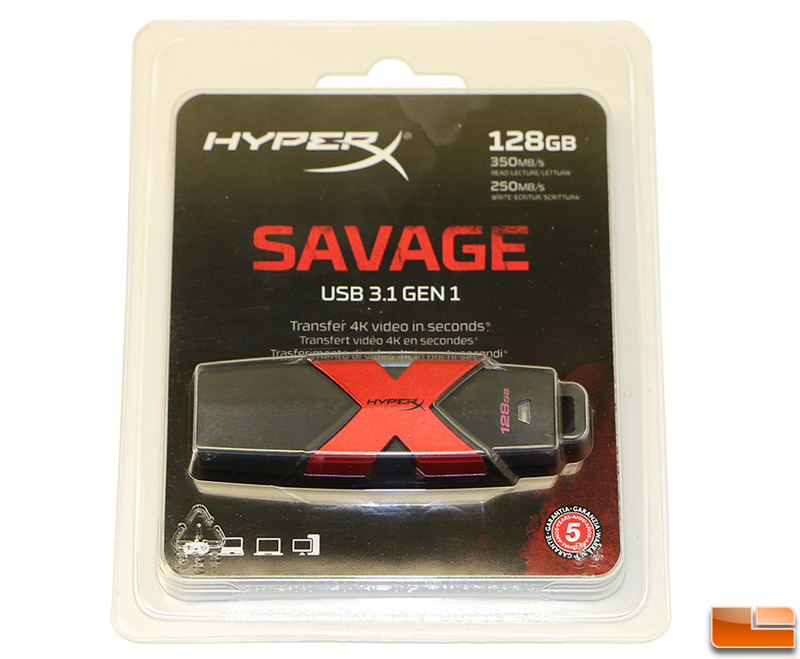 The HyperX Savage USB 3.1 Gen 1 series is capable of 350MB/s Sequential Read and 250 MB/s Sequential Write speeds on the 128GB and 256GB drives and 350MB/s read and 180MB/s write in the smaller 64GB capacity drive. When it comes to pricing the HyperX Savage runs $52.37 for the 64GB, $87.40 for the 128GB and $164.84 for the 256GB version. These prices aren’t bad for the speeds you get, but the pricing issue for Kingston will be the fact that SSDs are stupid cheap these days. You can buy an entry level SATA III SSD with a USB 3.0/3.1 enclosure for less or go with an USB 3.0 External SSD like the Samsung T1 Portable that we reviewed earlier this year. The Samsung Portable SSD T1 250GB model that we reviewed showed that it was capable of 463 MB/s read and 437 MB/s write speeds in the ATTO benchmark and it runs just $89.99 shipped. The Samsung Portable SSD T1 is cosidered a portable SSD though and isn’t a true USB Flash drive. The negatives of this means that it’s a larger device, that has a removable USB 3.0 cable, but it’s far cheaper at $0.36 per GB versus $0.68 per GB on the HyperX Savage 128GB drive. 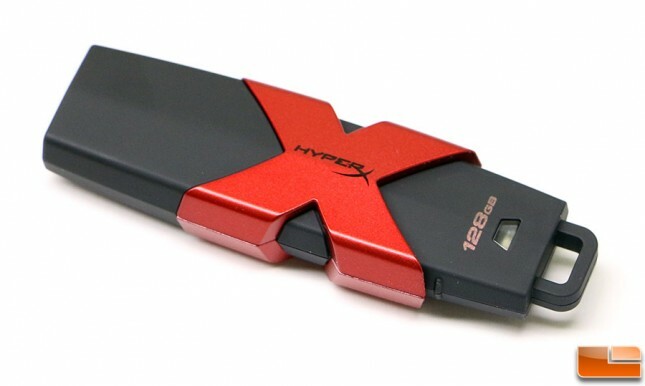 The HyperX Savage is a great look USB 3.1 Gen 1 (USB 3.0) drive that features the infamous red HyperX logo and name on the side of the drive. The drive measures 76.3mm x 23.48mm x 12.17mm in size and has a removable cap that is stored on the other end of the drive. The cap clicks firmly into place if you aren’t using a key chain as if you have it secured to a lanyard or key chain the cap obviously can’t be used. Here is a look at the cap removed from the drive and the standard blue USB 3.1 Gen 1 / USB 3.0 Type-A port. Let’s take a look at the test system and then the performance of this drive!